One of the common assumptions, when people fail to turn up to church, is that we need to improve the experience of church gatherings. We need to improve the “product.” We need better music, more relevant sermons, multimedia presentations, or engaging dramas. Or we need to relocate to pubs, cafes, or art centers. We need cool venues with cool people and cool music. The problem with this approach is the assumption that people will come to church if the product is better. To repeat what we said above: eighty-five million Americans have no intention of attending a church service, and these figures are higher among young people. Sunday morning in church is the one place where evangelism cannot take place in our generation, because the lost are not there. Evangelism will not take place until we go out to connect with them where they are, where they feel comfortable, on their territory. We cannot assume people will come to us. We must go to them. Chester, Tim; Timmis, Steve (2013-06-30). 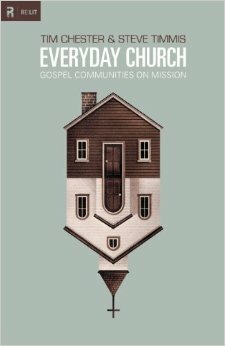 Everyday Church: Gospel Communities on Mission (Re:Lit) (p. 28). Crossway. Kindle Edition.